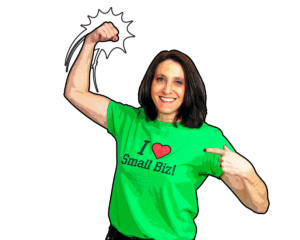 “Small Business Stacey” is interviewed by Jim Palmer, The Dream Biz Coach about small business marketing and the ACTION Marketing System as presented in Stacey’s book “Small Business Marketing Made EZ”. Welcome to Dream Business Radio. The place to create your dream business, now. Get ready for some inspiration, some encouragement, some proven business building strategies and a couple of new ideas that you haven’t even thought of. It’s time to lead slow and steady as you go to the other entrepreneurs, because this program is all about speed and fast results. And now podcasting from his floating home somewhere in the Atlantic Ocean the Dream Business Coach himself, Jim Palmer. Jim Palmer: Hello there everyone. This is captain Jim Palmer the Dream Business coach here with another fantastic interview. My very special guest is Stacey Riska, she is well, first of all a great friend of mine which is awesome, and but she’s also a phenomenal business person entrepreneur. She’s the author of a new book which is burning up the entrepreneurial charts in the small business world it’s called “Small Business Marketing Made EZ!” And you can just imagine a big huge E and Z for emphasis. And small business Stacey as she is known internationally now because, she’ll correct me if I’m wrong but you work with clients all over, Stacey you work with clients all over the world, is that correct? I mean, not just the United States? Stacey Riska: I will work with them in the whole galaxy actually. Jim Palmer: The Galaxy. All right. So, now I’m gonna correct my own notes here. Small Business Stacey is known throughout the galaxy. Stacey Riska: There you go. Jim Palmer: You know what? The heck with the formal interview, we’ll fill in the blanks as we go. I’ve known you too long to keep it so professional, but you are also, I just want to say the creator of the A.C.T.I.O.N formula which is an easy to follow system that you put together for busy time-starved small business owners. I also want to give props you married a pretty cool guy, Dave and he’s actually an entrepreneur himself and a business partner and together you guys are like infusion certified, so you can help people automate their marketing right? Stacey Riska: You got it. What a great introduction. Jim Palmer: Well, I think people who do this professionally would argue with that, but we’ll go with that. So, lemme get a little bit of background for people who don’t know you as well as I do. I know, did you have any entrepreneurs or small business owners in your family? Fathers, grandfathers, mothers anybody that or are you the first generation? Jim Palmer: I didn’t know that but we gotta see pictures of that somewhere. Stacey Riska: Oh no, oh no. But yes, I was a baton twirler and I used to go to all of these national competitions, and I even was Miss Majorette of America. So, you see you learn something new every day. Jim Palmer: If I had known that, I would have insisted you put that in the book. So, you and Dave when I first met you, I don’t know if this was business one, two, three or four, but you were involved with Maui Wowi which is still believe is a franchise that you own today, right? Stacey Riska: Yep. I guess I’m a little bit of a serial entrepreneur. My background is I went to University of Maryland and graduated, and got the typical J-O-B because I didn’t really know what I wanted to do, but I knew that I loved doing marketing and I ended up working for an association doing their membership and marketing and I loved it. And I was very blessed to have a boss who was very entrepreneurial minded. And I saw a need at the time to do data entry via remote access, some sort of dating myself, but this was when computers first came out. So, I started my first business DataMax Solutions. We did the back office work for associations and non-profits even before the outsourcing became a known word. And I did that for 10 years, grew a very successful and profitable business, and then I realized one day that I miss the hands-on. I had two project managers running the day to day operations, and I had my midlife crisis, and I needed something fun to do. And he said, “You know what? I have the perfect business for you. Maui Wowi Hawaiian Coffees and Smoothies.” So 12 years ago, started that franchise. Now understand I’m doing that here in the Washington DC area, which is not small business friendly, but we, we meaning my husband and I, digital Dave, we took over the DC area. We opened a store in a mall, two locations in Dulles airport. We had 10 of these tiki bars going all around the area, and we grew like Gang Busters, but I will share my story that the growth was great, but so was the crash and burn. Stacey Riska: It was back in 2008 and everything stopped. No one was going to the mall just to get a smoothie. No one was traveling and yet I was paying the highest rents in the country being in an airport location. I had equipment just sitting there doing nothing, and I remember sitting in my store just wondering when my next customer was gonna come in. And I was $500,000 in debt, and I did not know where my next customer was coming from. I remember driving home one day from the shop and I just started crying. I mean, not just like tears but like full out balling so much so that I had to pull over on the side of the road and it must have taken me five or 10 minutes to come through. I had that coming to Jesus moment where I said, “Look Stacey, you’re at that proverbial fork in the road. You need to make a decision. You’re either gonna throw in the towel and lose your business, possibly lose your house, lose it all. I mean, there was a lot of stress and tension in the family. I had young kids at the time, and I was never home, I was working myself to the bone. Or I could fight to save my business. I remember walking in the door when I got home, and I looked in the mirror and I said, “You know what? I have a business that’s worth saving. And while I can sit here and blame everything else; the economy, the customers’ blah, blah blah, it’s me.” Looking in the mirror I was not doing what I needed to do to profitably grow my business. And there was one word that could save it all. And that one word is marketing. So, I went back, and I just started doing marketing. Simple things that we all know we should be doing. And I realized that there were six simple steps that can grow your business. Six simple steps that any small business owner can use to grow their business. And I became so passionate about it because these six simple steps that I outlined in the book, “Small Business Marketing Made EZ!” are the same steps that I used to transform that business from $500,000 in debt to a seven-figure profitable business. And so I realized that I actually love doing the marketing. 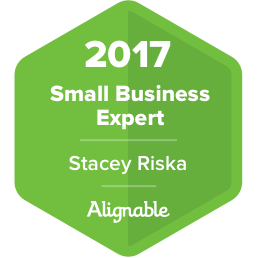 So, I started another business; the Small Biz Marketing Specialist where we help small business owners get their marketing done. And so I’m not some guru preaching on the top of the mountain to do things that they’ve never done themselves. I run currently three businesses, and I practice what I preach, and I take where I’m always testing and trying new marketing strategies. Especially in my coffee and smoothie businesses and then sharing that with my clients in the Small Biz Marketing Specialist, so that they can have the same success and have the dream business that they always knew they would have. Jim Palmer: Oh my gosh, what a story. I mean, people are probably driving in their car or listening in their headsets they’re going, “Holy smokes. I have $30,000 on my credit card debts, you have half a million.” That’s one of those, geez I’ve taken so many notes here. I was gonna call this podcast after we launch it, this interview “fighting to save your business” because that was really a defining moment for you, but I promise it’s “small business marketing made easy“. So, I’ll figure out what I’m gonna do there. Stacey, I mean, so many people, first of all, I think you have a similar book to decide because there’s so much mindset that you have successfully plowed your way through, and I think part of being an entrepreneur who’s been in the trenches and is still in the trenches but has experienced those come to Jesus moments as you described them and got through to the other side, so to speak, I mean, there are so many people and you, that’s why we get along, you and I are so similar. We run across these people who, and I’m sure that you’ve probably had some prospective clients and you’re telling them, “look, we can turn your business around. This is what you need to do.” And they’re like, “Oh, I can’t afford $20.” Not $20 but you know they’re just moaning and they just wanna be able to take the next step but have it go smoothly and easily and with no risk. And here you are with multiple businesses. I know you’ve got the two young boys at home, everything’s on the line and you’re half a million dollars in debt how did you even drive home that day? Stacey Riska: Well a lot of Kleenex. You know, you’re right it’s a lot of mindset, right? And you do, it’s just sort of, it’s easy to make excuses of why your business isn’t growing. 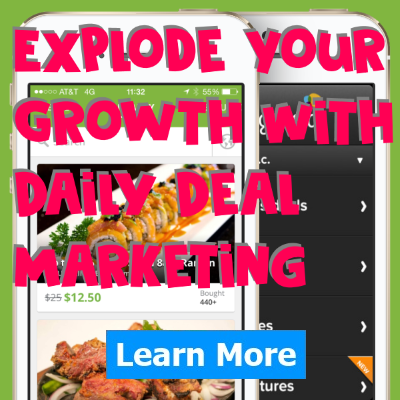 But I can tell you that the one word, marketing, is the only thing that will make your business grow. You hear all the excuses, “Oh you know, there’s not enough cash flow,” or, “I just need more money to make my business grow,” no. All you need is marketing and I’m here to tell you marketing is easy. There’s only six things that you need to do to grow your business, and these are the six things that I do every day and I’m here, you know. I know that there’s the busy and the overwhelm and the completely stressed business owner but think of back to the day that you started your business. I mean, when you came up with that dream, and that plan, and what you were gonna do and why you wanted to start your business, that’s what you need to think about. Because the day that you came up with that idea there was no doubt in your mind that you were not gonna be successful, otherwise you wouldn’t have started it, right? Well, all you need to do is that every business needs to have a marketing plan that is simple and easy to implement. 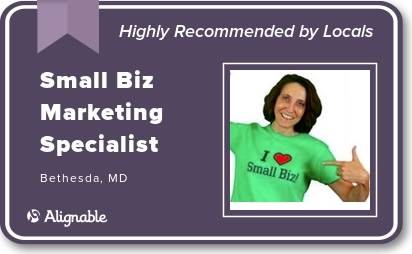 Now, at the Small Biz Marketing Specialist, we do the marketing for them because there are business owners who realize that the best and the fastest way to grow is just to hire an expert to do it for them. But I would love to share with your audience today, Jim this six simple steps that any small business owner can put into action, I mean that literally and figuratively, today so they can start seeing results in their business. Jim Palmer: I think that’s a great idea. So, you created this whole formula called A.C.T.I.O.N and the A.C.T.I.O.N actually stands for something. So, let’s start going through those. What does A stand for? Stacey Riska: The A.C.T.I.O.N Marketing System. So A-stands for attention. Now, here is what small business owners do when they think of getting attention. It’s almost like they just wanna put up a sign with their business name on it and run up and down the street naked. “Come to my business, come to my business.” Well, sure you’ll get attention, right? But probably not the right kind of attention. Jim Palmer: Oh the images, keep going because I’m not going to interject you, just go. Stacey Riska: When I’m talking about attention, I’m talking about defining your who. You know when small business owners open up their doors, they have these grand visions and they wanna be everything to everyone. And I have a keynote, it’s the first question that I ask any client who comes to me. Who do you serve? And their answers are very generic, “Oh my product’s perfect for anybody,” or, “I service all homeowners,” or, “Anybody within a 10-mile radius of my store.” It’s very vanilla and generic. One of my mottos is you can’t be everything to everyone. So, be something for someone. So, the A of getting attention is defining your who, and getting so specific that you can literally see this person. Jim let me give you an example of how I did this in my coffee and smoothie business. So, when I was getting clear on my who, I realized that actually, the biggest potential for profitability was in corporate catering. Now that is very broad, right? Because there’s a lot of corporate caterers. But I got very specific and realized that my who was Carol the office manager or the HR person who was responsible for doing staff appreciation events. Carol realizes that she’s put on these ice cream social on pizza parties and nobody attends, and nobody appreciates her and it’s not really Carol’s job to do this type of event planning anyways. So then, Carol learns about Maui Wowi Hawaiian Coffees and Smoothies where we come in with a tiki bar, serve umbrella drinks and all of a sudden people are showing up. Carol gets recognized and appreciated. And we make it easy because it’s all done for her. But I am so specific in who my who is that I literally have a picture of Carol in front of me. So, anytime I’m doing marketing, whether I’m sending out an email, or a direct mail piece or connecting what Carol on social media, I see her. So, I’m using words and images that resonate with her. That’s what small business owners need to do. When you’re getting attention, it’s about defining your who so you are so specific. It’s almost as if you’re having a one on one conversation with that person. Jim Palmer: That is fantastic, wow. That’s awesome. So, that is the attention and that’s what everybody craves, but as you said you’ve gotta widdle it down or you’ve gotta clearly define it like the head of a pin define it is to who you’re serving because who was it? Was it Ben Franklin that said the shortest way to go out of business is to try and please everybody? Pretty close to something like that. Jim Palmer: And what you teach is actually that, the closer you define who your target is, I think people, do you agree Stacey? I think people are so scared that well if I start limiting well okay I’m not, if Carol is my target but what if Bob occasionally once in a blue moon wants to inquire and get a quote for Maui Wowi party or something. I mean, they’re so afraid to start eliminating potential business. Stacey Riska: Actually you’ll find that you will get more business. It’s not that I turn away other business, but I’m very selective in who I’m doing my outbound marketing to (where I am spending my marketing time and money). And I know exactly who that is, it’s a growing company with 50 to 100 employees in a specific niche. It’s almost like printing money because when you get so specific that you know exactly your who, they don’t wanna do business with anybody else because they feel that you know them, you get them, you understand them, you know what their needs and their pains and their challenges are and you are the solution. So, it doesn’t mean that other people won’t come to you, but if you just focus on that specific who you will find that your marketing is so easy and you will actually be more profitable because you are the only solution for that niche. Jim Palmer: Okay, we have about 10 minutes left and we only did number one. So, I’m gonna stop interjecting so much. So, next is C, C for connect. Stacey Riska: Okay. C is exactly for connections. And where most small business owners they are so eager to get the sale, right? They just want to say, ‘Will you buy from me? Will you buy from me?” C is about making connections, and because you’re not gonna, you know it would be a little weird if I just met you Jim for the first time and I said, “Hey Jim, you’re small business owner? Hey would you like me to do your marketing for you?” I mean, that’s a little weird, right? Because you don’t even know, like or trust me yet. So, C is about making connections. And you do that by providing content. And what you need to realize is that people buy when they’re ready to buy, not when you’re ready to sell to them. Jim Palmer: Oh, so true. Stacey Riska: So, true, right? So, it’s about connecting and building relationships. And Jim you are the master at this by every day you’re out there providing valuable content. You’re never every day out there saying, “buy my program, come into my coaching, sign up for this course.” You’re out there just providing valuable actionable information that small business owners can take to grow and create their dream business. So, you are a great example of how to build those connections. Jim Palmer: You know what? I said I was gonna not interject, but we’ll try and get through this anyway. You know what the thing of connection is I believe is when you’re sharing content it’s like being a magnet. And the stronger you make your magnetic field by just serving and helping other people that I think your magnet gets stronger and stronger and more people are drawn to you and they wanna connect to you. It’s not like oh you’re gonna give everything away for free, they want actually more. So, I think that’s a big leap for a lot of people to initially learn because I’m not gonna give it to him for free right? But that really what the whole connection strategy is all about. Jim Palmer: Okay. C next is T.
Stacey Riska: T is for transactions. And this is at the point where I start seeing dollar signs in the small business owner’s eye balls because they’re like, “Yeah, now I get to make a sale.” But when I say T for transactions, I’m not necessarily talking about a monetary transaction. The T for transaction, yes, it’s a sale but it’s actually a sale that moves that relationship forward. It maybe monetary, it may not be. And Jim I’ll give another great example. So, I came into your world a long, long time ago. I took one of your summer coaching programs, and I got a lot of great information from that, and then you started doing the Dream Biz Academy. And it just so happened you were coming to my area, you were gonna be in Annapolis, and I was like, “Lemme go check out Jim’s program.” Interestingly enough it was at the time where I was thinking of staring my dream business which is the Small Biz Marketing Specialist. And I think you had some amazing rate to attend on, $200. So, I signed up and Dave and I came to your program. Now other people, a typical small business owner would say, “Yeah, I got $200.” And while you were using that as an opportunity to coach and bring people into your coaching program which I was very interested in, I at the time while I got the invitation said, “No,” because I had a lot of things going on at the time. I had a bank that was threatening to take my home, I had two kids in college, Dave was dealing with some health issues that no doctor could tell us what was going on. There was a lot of crap going on but you didn’t know that. So, a typical small business owner would say, “Yeah, I got $200,” and although Stacey said, “No,” to coming into my coaching program, “Okay, I’m gonna go find another person,” but you didn’t Jim. You realized that no didn’t mean no. No meant not right now, and you just did what you do best. Your brilliance is that C, connecting. By staying friend of mine every day I was getting emails from you. You didn’t push me to come into the program. Every day I got great information to help me start my dream business and with your Facebook lives and all the things that you were doing. It was until almost a year and a half later when things in my personal life that you didn’t necessarily know about started settling down, and I could then become more serious about starting my dream business. And I did. I then entered your coaching program. I’m now a VIP member. My business has gained busters thanks to you and your coaching, and it’s just a valuable lesson. So, ultimately you got those dollar signs and so the T is for transactions, but what small business owners can learn from that is don’t come out of the gate asking for the sale. And even if you do ask for the sale and you hear a no, understand that no doesn’t mean no, no just means not right now. So, make sure that you’ll continually stay in touch so that you’re a friend of mine because when the situation changes for that lead or that prospect who are they gonna think of? They’re gonna think of you, the person who was always the go-giver and providing valuable information. And I remember especially when you told me Dave had health issues, I said, “Listen, go get Dave healthy and then we’ll stay in touch,” I think that’s what our final conversation was. Jim Palmer: And that’s what we did. So, what a great story. Doggone! Six minutes to go. So Stacey, and if we don’t finish then I’m gonna have to have you back, because I wanna finish. But everybody’s gotta get this book, which is called “Small Business Marketing Made EZ!” It’s in kindle, it’s in paperback. It’s a phenomenal book. I mean, it is literally a road map. Let’s see if we can get through this. So, invest is the I in the A.C.T.I.O.N strategy. Stacey Riska: Yes I is for invest and again it’s not about necessarily monetarily investing, but it’s about knowing your metrics because when you know what’s working in your business, then you will not necessarily look at marketing as an expense or a cost. It is an investment. And a great example is a lot of small business owners especially those that work locally, they will not, everybody is saying, “Do Google AdWords, do Google AdWords.” Well, in my coffee and smoothie business, it costs between six and 10 dollars just to get a click, a click. Stacey Riska: Right, but you know what Jim? I will happily pay that because I know how to leverage Google AdWords and make it work. Because it may cost me $10 a click but I can convert it to an average $800 catering job. So, would you spend $10 to make 800? Yeah you would lather, rinse, and repeat. Jim Palmer: That’s always the thing that small business owners have to understand is that and in your case six to eight or 10 dollars a click seems like a lot, but if you had such a huge return with when you get a job it makes it worthwhile. Stacey before we run out, and I apologize for I interjected, but I knew we were gonna have fun in this conversation. And I will have to have you back in a few weeks if your schedule allows. I do wanna say the O is ongoing, N is nurture but before that, because before, because I have a hard stop because somebody else is coming on for another interview in a few minutes, tell us about the book, tell us about your website, how can people connect with you, learn for you and meet you, and all that stuff? Stacey Riska: Yeah, so we didn’t have time to go through the whole A.C.T.I.O.N Marketing system™, but I would encourage every small business owner to get a copy of this book. I invest, invest in learning the A.C.T.I.O.N Marketing system™. You can find that on Amazon, you can search by Small Business Marketing Made EZ, EZ, or my name Stacey Riska. 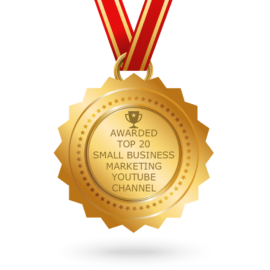 My home base is smallbizmarketingspecialist.com. I’ve got a lot of free resources and information on there that will help you get your marketing into action. And anybody feel free to reach out to me directly. 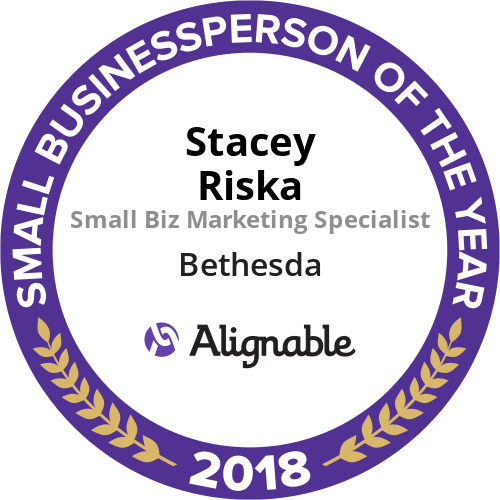 You can reach me at smallbizstacey@gmail.com. Jim Palmer: And you are on Instagram, you’re tearing it up on Instagram now, I’m seeing, your posts are getting tons of follows and likes and you’re sharing some really, really good stuff Stacey. I’m proud of you. Stacey Riska: Thank you. I’m realizing that social is a great place to be. It’s a great way for me to get the message out. And I also have a free Facebook group for small business owners if you go to https://Facebook.com/groups/smallbusinessmarketingsuccess. Jim Palmer: Wow, you are just a joy to have in my life. I appreciate you. I appreciate your coming on. Everybody go connect with Stacey on social media, get in her group. I don’t know if Stacey is as hard as of an authoritative person as I am. I say if you’re gonna be in my group, you better share, like, and comment but I’ve checked her group out, and she’s sharing every day. It’s a place where you can not only connect with Stacey, which that’s one of the greatest things about social media is it’s really hard to get to, like you and I who are busy, and we let our calendars dictate our life and our accessibility. But with social media, with the Facebook lives, and the sharing, and the contents through Instagram and your group, it’s really a way that you can connect and learn from Stacey. And she is just one of most genuine people and as you heard from her story she is seasoned, she is well seasoned beyond her years. Believe me she will get you through the fire and she will help you. Remember the greatest word that she said today is marketing, and she’s a master at it. So, go connect with Stacey. Stacey thank you so much for being my guest today. Jim Palmer: Hey folks, connect with me if you haven’t yet at my Facebook group which is Build Your Dream Business Now, you can get there with a quick link dreambizgroup.com, dreambizgroup.com until then another great interview next week which is actually coming up in 30 seconds from now. I am captain Jim Palmer the Dream Business coach and you take good care.